The cold weather glove inserts are intended to be worn for added warmth with glove shells for cold weather. 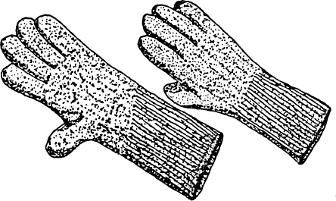 The glove inserts can be worn on either hand. All parts of the glove, except the cuff, are seamless knit. The cuff is a true rib knit. The glove inserts are made of a blend of wool/nylon yarn.